Transfer operations of Liebherr’s new ship-to-shore STS Crane in TCR have now terminated. The crane is secured in position and all operations have been completed on schedule. 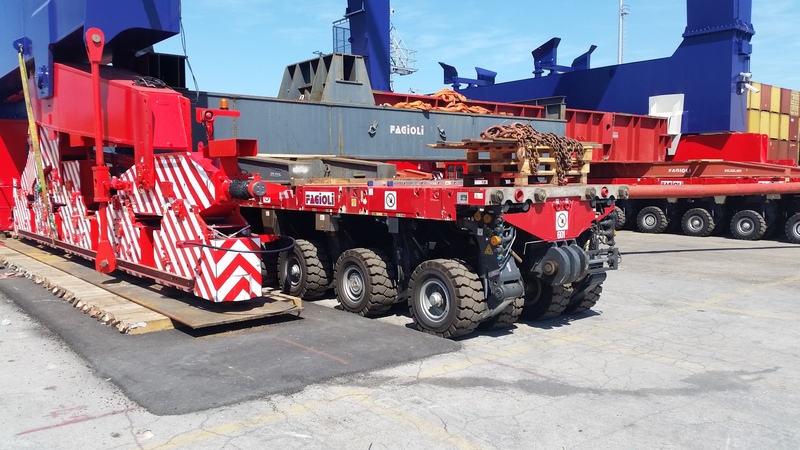 Shifting operations terminated in the early morning of July 29th after more than one week of preparations, under management of the specialized company Fagioli, world leaders in the design and engineering of specialized hauling and heavy lifting. The transfer was carried out by positioning two undercarriages that shifted the entire crane and slowly moved it onto the rail tracks. The undercarriage was made up of 44 driving axels split on two parrallel runways which hosted 22 axels each. 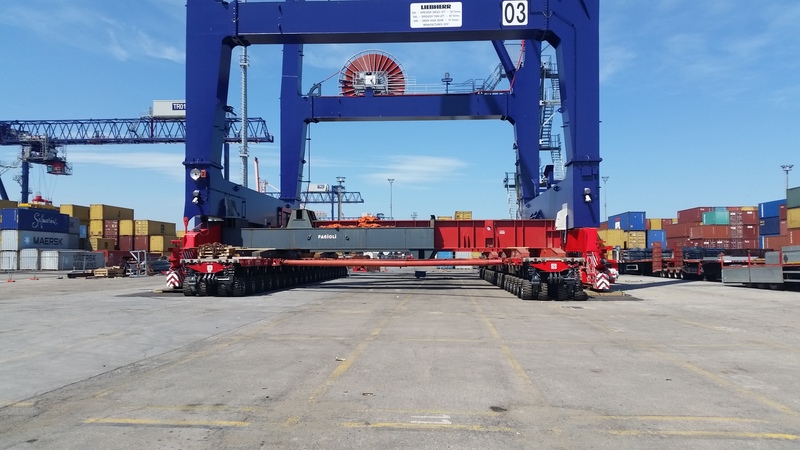 The carriage allowed the crane’s 1400 t to be safely lifted and moved. The alignment of the carriages’ runways took plenty of time and effort; maximum precision was needed in order for the crane to perfectly land on the carriages' 35m supports that balanced the entire load during the shift. It took more than 3 hrs to plan and complete shifting operations successfully, and no interruptions were made to the terminal’s daily activities. 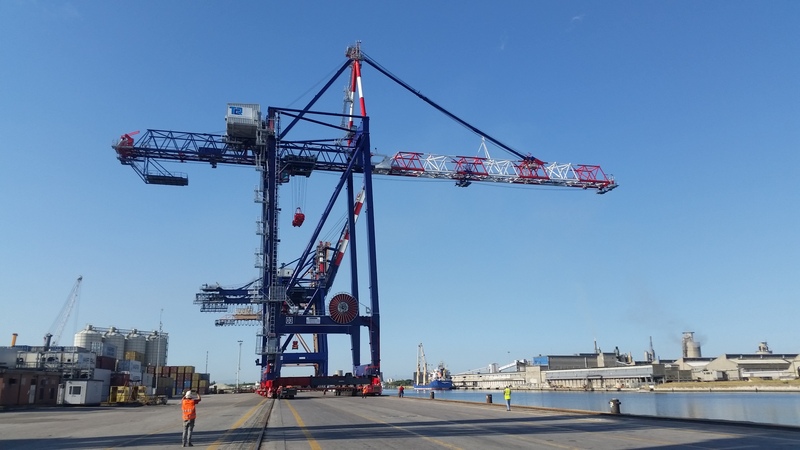 As soon as the new STS was secured in place with the undercarriages moved away, TCR and Liebherr teams rapidly set up the necessary safety procedures to allow the STS crane to operate as soon as possible. The two teams are now working on the testing procedures so the STS can be fully operational by the first week of september.